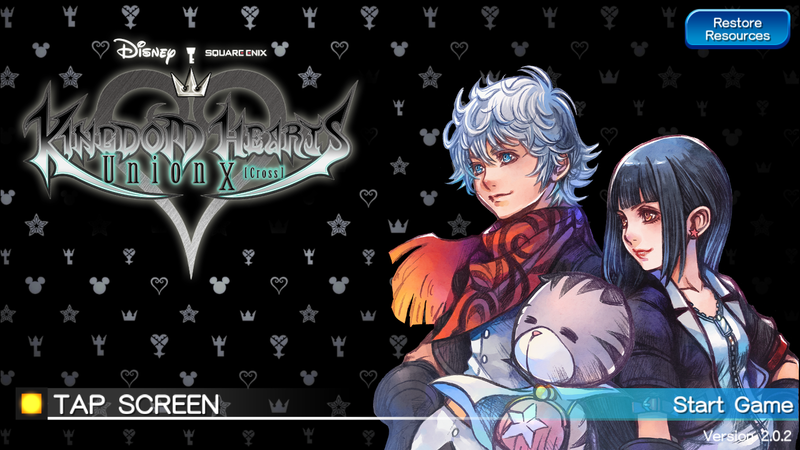 When the new, huge update was made, and the official switch from Kingdom Hearts Unchained X to Kingdom Hearts Union Cross, I knew I wanted to end this 30-day series with an article about the new “Dearly Beloved”. I initially thought I would write about picardy third—which is still an interesting concept that I might tackle later—but I thought as the last article of the series, I would write about something a little more poignant. Let’s first listen to the newest version of “Dearly Beloved”, which plays at the title screen of Kingdom Hearts Union Cross. When I first heard this track, I was actually initially very upset. I absolutely adored the version that was in Kingdom Hearts Unchained X, and for them to change that without warning upset me a lot… I loved the upbeat switch in the original KHUx “Dearly Beloved”, and I had become accustomed to it. I am honestly not good at dealing with changes, especially from things that I love, to things that I don’t love (to put it very bluntly). But the fact of the matter is that this is the version we now have, and I have to let go of any hurt feelings. I’m sure there are tons of fans out there who are thrilled with the new music. On its own, it actually is quite lovely. It incorporates the “passing the (musical) torch” technique that I talked about a few days ago, and the instrumentation is very light and peaceful. I had to wonder though: was Yoko Shimomura happy about the change? Did she like the original version, and was she disappointed that it would no longer be included? But after I had that thought, though, I realized that it doesn’t even matter. As the composer, she is in charge of composing the gorgeous music for this game, but at the end of the day, it’s not up to the composer what happens in the game. At the end of the day, composers must let go of any feelings of resentment or attachment that they may have, for the greater vision of the game that the developers have. And there is something beautiful about that, in letting go, and giving yourself permission move on. As I mentioned in my article about jazz theory, I went through a phase near the beginning of my compositional journey in high school, where I was learning about all of these crazy chords, with long names and complex, crunchy, sometimes dissonant harmonies. Without anyone explicitly telling me, I became under the impression that I had to include incredibly complex harmonies into every single piece I composed. After all, I had the tools, so why wouldn’t I have to use them? It wasn’t until I listened to a piece from a movie we had watched for class, that I realized oh hey, beautiful music doesn’t absolutely have to always include these luscious and complex harmonies in order to be good. The track that inspired this thought was the Main Titles of The Cider House Rules, by Rachel Portman. Throughout this piece, there are almost entirely just major and minor chords: no sevenths, ninths, thirteenths, “add 4″s, “add 6″s, augmented, diminished, half-diminished… I remember going to the piano to figure out the chords to this piece, and having a really powerful moment, realizing that while those kinds of chords are certainly impressive—and can undoubtedly sometimes power-up a piece of music if used appropriately—pieces that do not use these chords are in no way subpar. …Which relates back to the new “Dearly Beloved”. While it may not be as rhythmically complex and as varied as the original KHUx version, it is still beautiful in its own right. Even with all of these lessons of musical concepts that we’ve discussed over the past 30 days, especially some of the more dense topics, plenty of composers will never even use any of these techniques. And that is okay! I suppose the point I am getting at is that, especially for composers who listen to the music of others and feel that their work cannot possibly compare, it’s not about the special techniques that you use, and fancy music theory knowledge that you show off in your music, it’s about the amount of care and heart. Yes, there are over-zealous fans such as myself who will certainly appreciate those special techniques and fancy music theory, but at the end of the day, if you’re passionate about your music, and if you put in your best effort into your compositions, then that is what will matter. Some people may like it, some people may not: letting go of expectations, and letting go of judgements that negatively affect you is what will count. “Dearly Beloved” is one of the most simple pieces of music I have ever heard. The rhythms and melody are not that complicated at all; I remember figuring out how to play it on the piano back in middle school, probably in under five minutes. The chord progression is also nothing impressive: there are literally only three chords. But there is something about the piece, especially to die-hard fans of the series, that resonates so much, and evokes so much nostalgia, and has made it such a gloriously timeless piece. And I can’t help but to think that that “something” is the very heart of Yoko Shimomura.